We strive to be integral and indispensable to our communities. 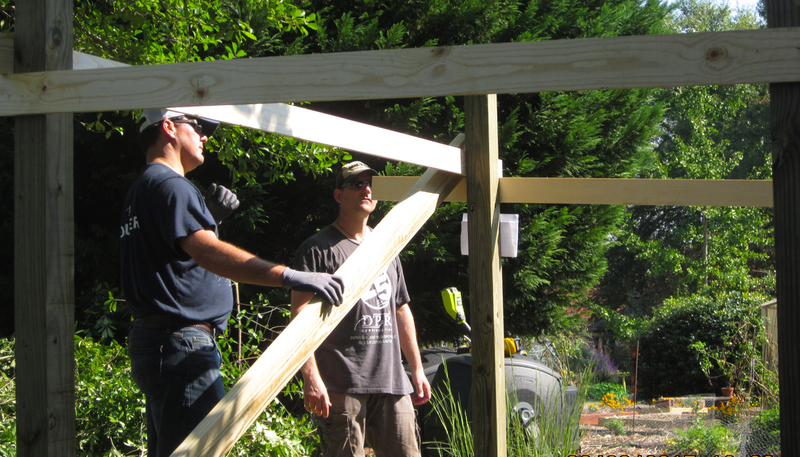 This company-wide vision is implemented on the local level through volunteer action spearheaded by individual jobsites, regional offices and grants from the DPR Foundation. 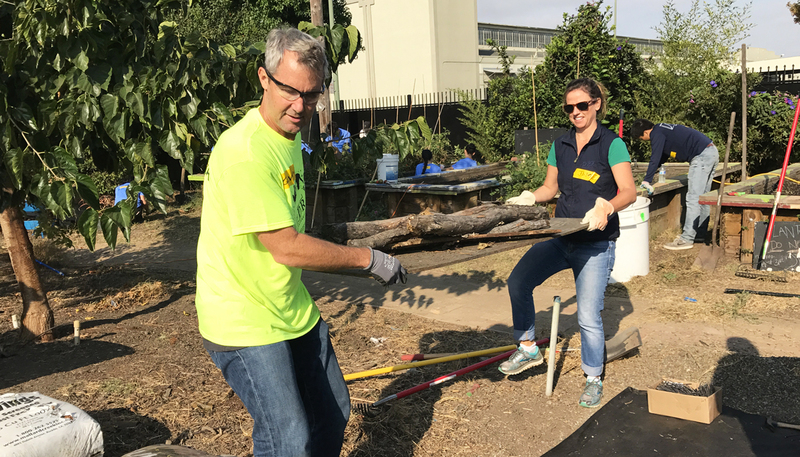 Redwood City, California-based LEMO Foundation recently found itself in dire need of the skills that DPR’s self-perform work crews bring to the table. A charitable organization dedicated to providing a home base where underprivileged youth can feel safe, build positive relationships and develop their dreams in an environment where they can excel in academics, athletics and life skills, LEMO was in danger of losing the lease to a portion of its Redwood City facility. 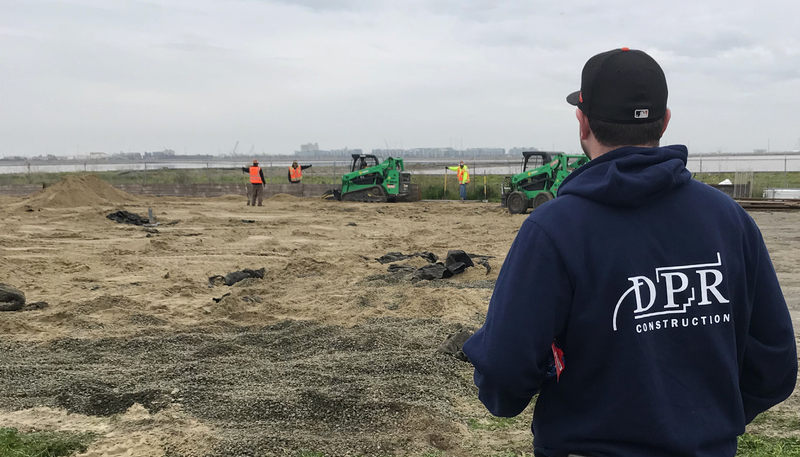 Because the previous owner built volleyball courts underneath power lines without PG&E consent, the organization needed the courts to be demolished and removed to maintain its lease and continue holding tournaments at its facility. DPR’s Alex Saldana was already familiar with the organization and the outstanding work it does in the community helping underprivileged student-athletes succeed in school, athletics and life in hopes of receiving college scholarships. 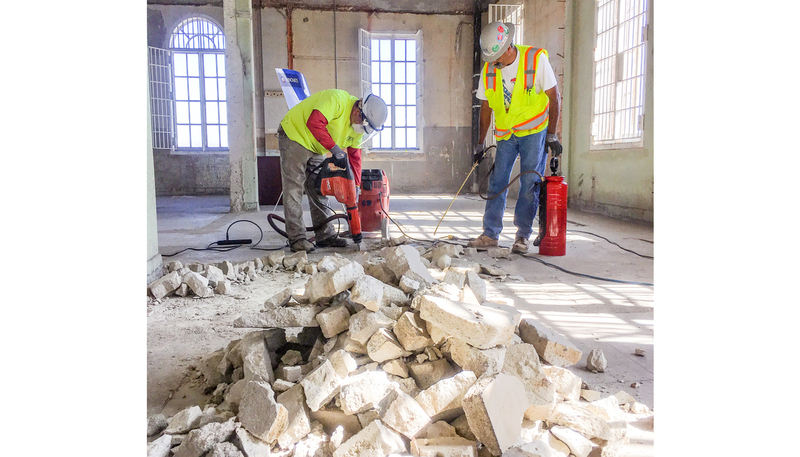 Over the next two months, DPR’s team worked with LEMO to set a scope of work, find additional help and complete demolition before its critical deadline. Six DPR crews helped complete the demolition project in one weekend. 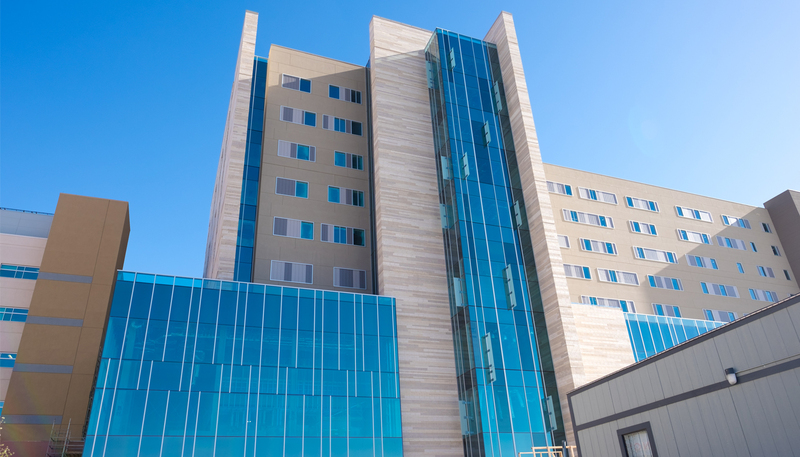 All totaled, DPR dedicated 116 administrative hours and 100 craft hours to complete the project. LEMO Foundation has since been in touch with Saldana, letting him know that the organization was able to renew its lease on the parking lot. It now has additional capacity to accommodate a surge of growth to its volleyball program, which is ranked among the leading programs in the Bay Area. LEMO also has plans to start after-school classes to expose students to potential career paths, such as education, entrepreneurship and sound engineering. Formed as a 501(c)(3) nonprofit organization in 2008, LEMO Foundation has accomplished unique results, with 75 percent of its student-athletes earning full scholarships and 100 percent of student-athletes receiving admission to college. 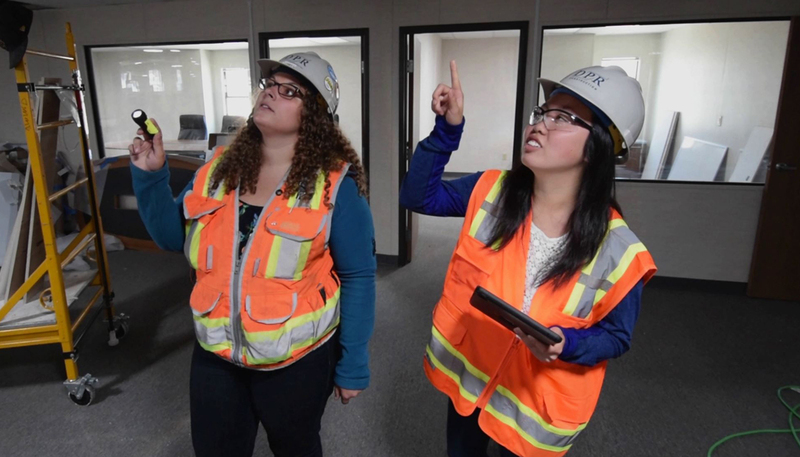 When it comes to introducing teen girls to the many career opportunities available in the construction industry, who better to do so than an all-female team of DPR professionals? That’s just what took place this spring at a DPR-hosted workshop titled “You Got This!” for the Girls Empowerment Network (GEN) Austin. The gathering was part of GEN’s Pathfinder workshop series. It marked DPR’s first one-on-one event with an organization whose mission is “to ignite the power in girls by teaching them the skills to thrive and believe in their ability to become unstoppable.” Formed in 1996, GEN has arms in Houston and Austin focused on offering rising ninth to 12th grade girls a professional development program and a head start on their road to independence, college and career. The half-day workshop brought together eight GEN teens with five DPR professionals at DPR’s Austin office. DPR community initiative liaison Angie Weyant said that the small group atmosphere offered ample opportunity for participants to become better acquainted as they took part in an array of interactive exercises and activities. 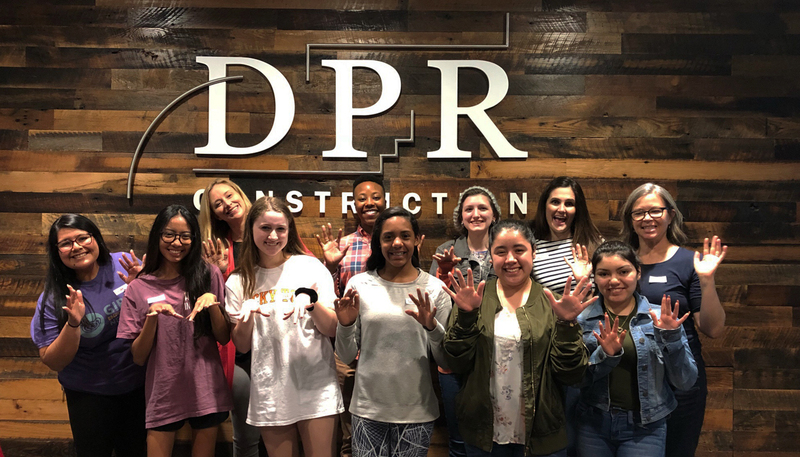 To kick it all off, the DPR women shared the diverse paths each had taken into construction careers ranging from project executive to project engineer, estimating, marketing and administrative roles. The girls also had a chance to watch DPR’s “Celebrating Women Who Build” video, which even featured Andrea Weisheimer, one of the workshop volunteers. 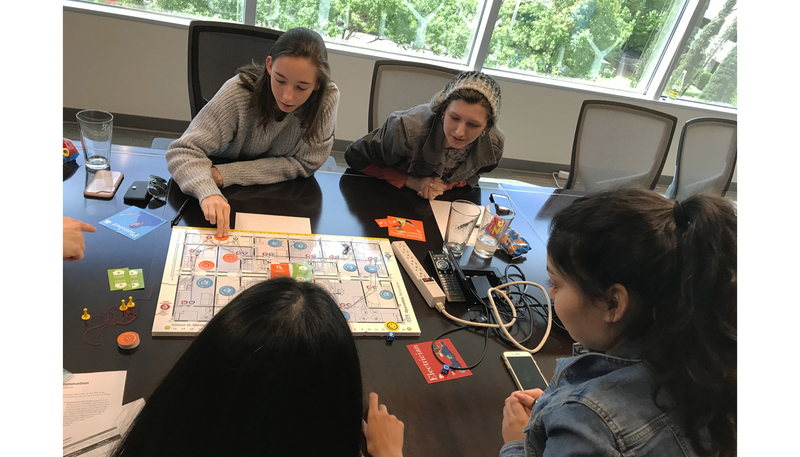 The group then squared off on two opposing teams to play a DPR-developed game, “Operation Renovation,” a collaborative construction management game that shows players how the different roles on a construction site interact with each other. The April workshop also included a chance for DPR volunteers and the girls to pair up for one-on-one “power chats” that honed their interview skills through rapid-fire Q&A sessions. A final exercise focused on bravery and resilience, which were key themes of the workshop. 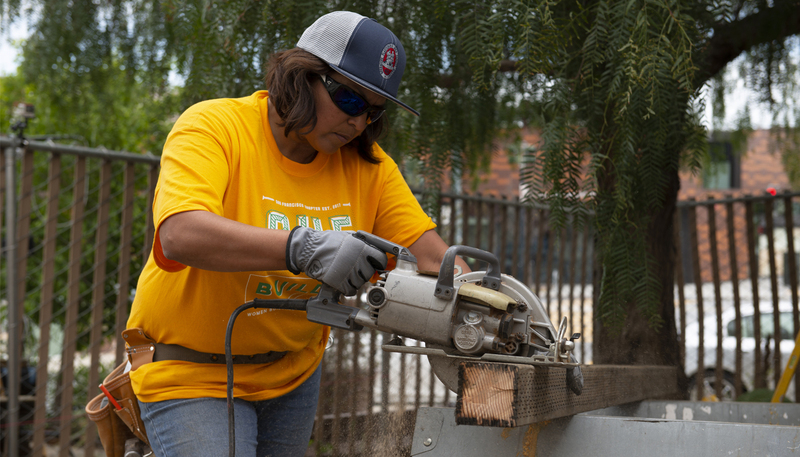 A project that will benefit scores of underserved youth in Southern California is getting some much-needed help from DPR volunteers, who are leveraging their skills as builders and planners to help transform a former jail in San Pedro, California into Sharefest’s new Youth Development Center. Sharefest, a non-profit organization that aims to build strong communities by fostering volunteerism and preparing youth to lead positive change, will use the center as a year-round safe space for Los Angeles youth. Over the past two years, DPR teams have stepped up to lend their preconstruction expertise and time to help get the project off the drawing board and into construction. 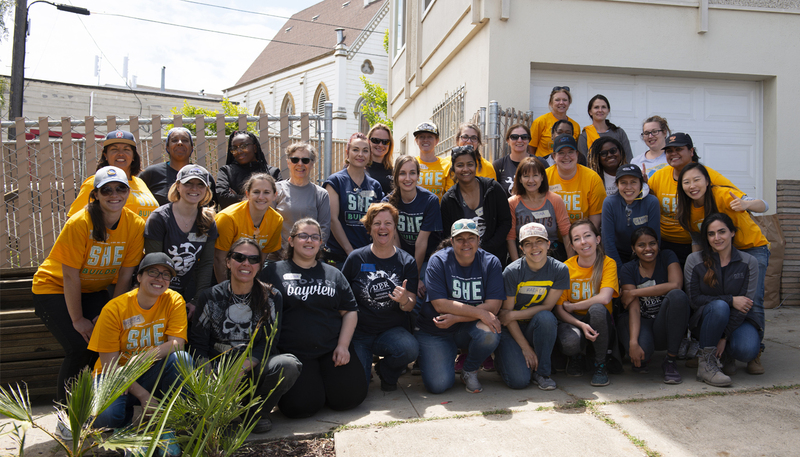 After participating in past rebuilding projects and developing a strong connection with the organization, DPR saw a prime opportunity to make a difference when Sharefest announced its plans to convert roughly 3,500 sq. ft. on the seventh floor of a century-old, historic building in San Pedro into its flagship youth center. 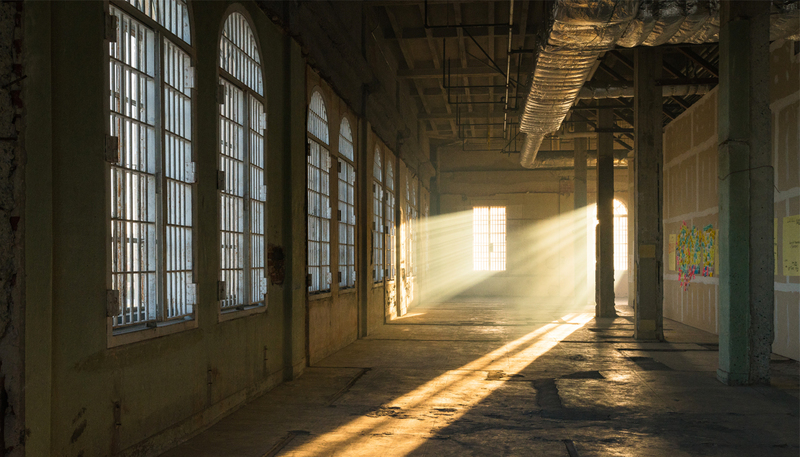 The organization has received a long-term, low-cost lease with the city of San Pedro for the space. Sharefest’s new Youth Development Center is envisioned as a safe place for under-resourced youth to positively engage with one another and in their communities. The organization has served over 3,100 at-risk youths through its Youth Development Academy alone. “DPR’s volunteer efforts are saving Sharefest hundreds of thousands of dollars on construction costs by providing skilled labor we can trust. We can now use that money saved to invest in the programs we are creating to help youth break the cycles of poverty, find their purpose and become the people we know they can be,” said Chad Mayer, executive director of Sharefest. 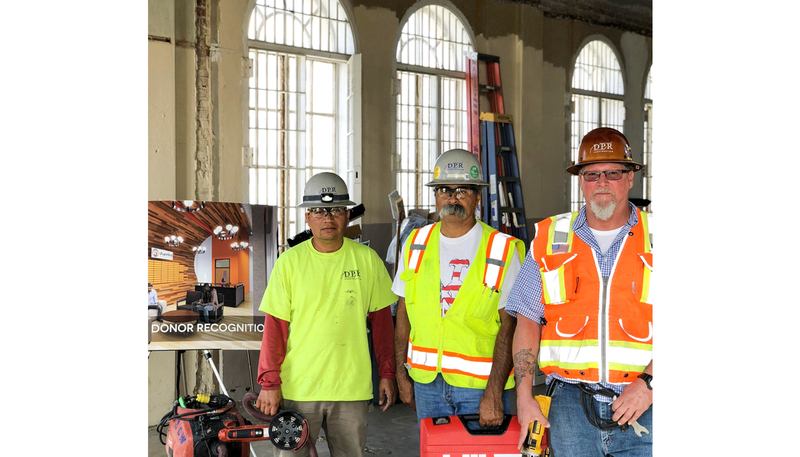 Recognizing there was an unfilled need for subcontractors on the project, the DPR team set to work enlisting the help of five major trades, including plumbing, mechanical, electrical and fire protection subcontractors. To assist with outreach efforts, DPR employed 360-degree photo technology to capture the existing space, allowing subcontractors to conduct virtual job walks before committing their resources. While the team has contributed significant hours during the preconstruction phase, DPR will continue to be involved, and will be self-performing concrete work on the project to help Sharefest turn the vision for its new youth development center into reality. Construction work began earlier this month, and the project is slated to be completed later this year. 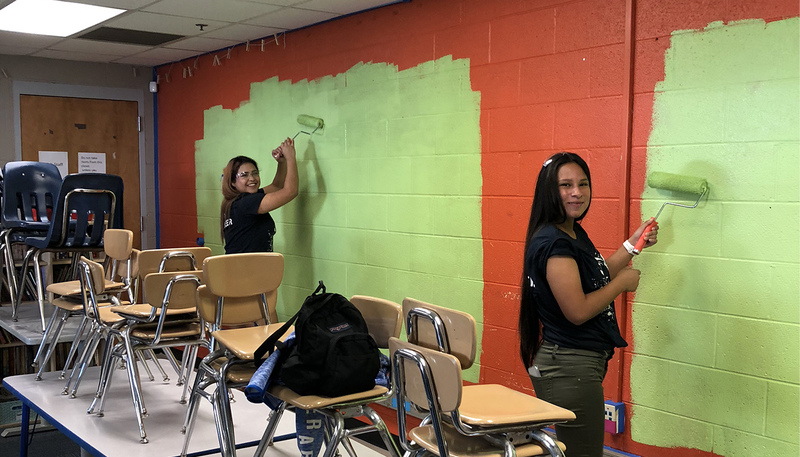 Recent high school graduate Jessica Reynoso and DPR project manager Irma Jauregui might be at decidedly different stages in their professional lives–but they still have plenty in common. Both grew up in East Los Angeles. Both graduated from the same high school, albeit 20 years apart. Most importantly, they both share a strong determination to make a better life for themselves. 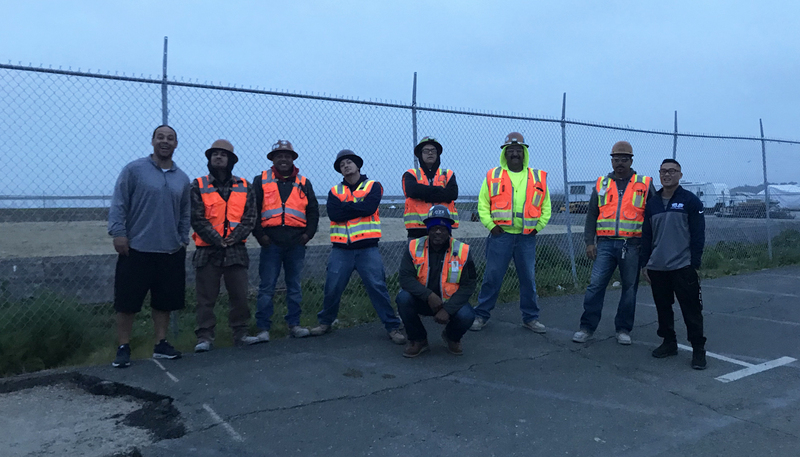 This summer, their journeys intersected on a 73-acre corporate campus project in Irvine, California, where Jauregui is DPR’s project manager in charge of cost control and Reynoso recently completed an eight-week internship through the company’s new Build Up high school internship program. 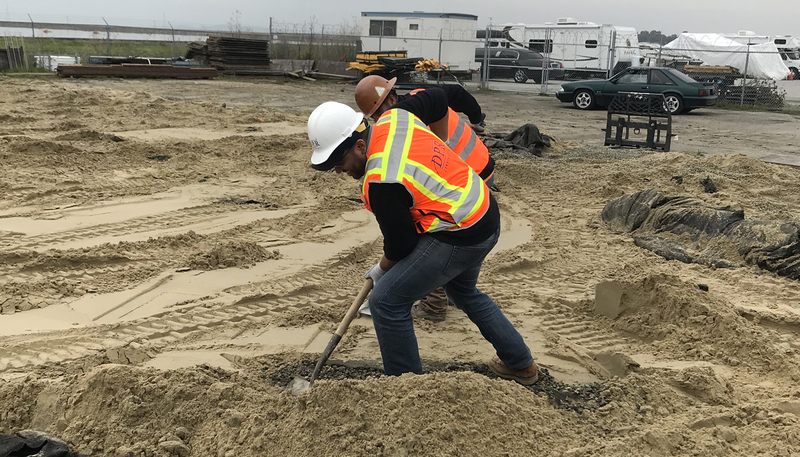 A DPR Community Initiatives program, this year’s pilot internships offered four high schoolers the opportunity to work and learn on DPR jobsites. The goal: provide under-resourced yet highly qualified youth (rising juniors, seniors and May grads) interested in STEM careers with real-life professional experience, while exposing them to career paths in the construction industry–all under the guidance of a DPR mentor or mentor team. As Reynoso’s primary mentor, Jauregui was tasked with ensuring the teen worked on meaningful tasks, from helping with daily safety logs to creating a custom spreadsheet to assist with specific cost control issues that the team still uses today. 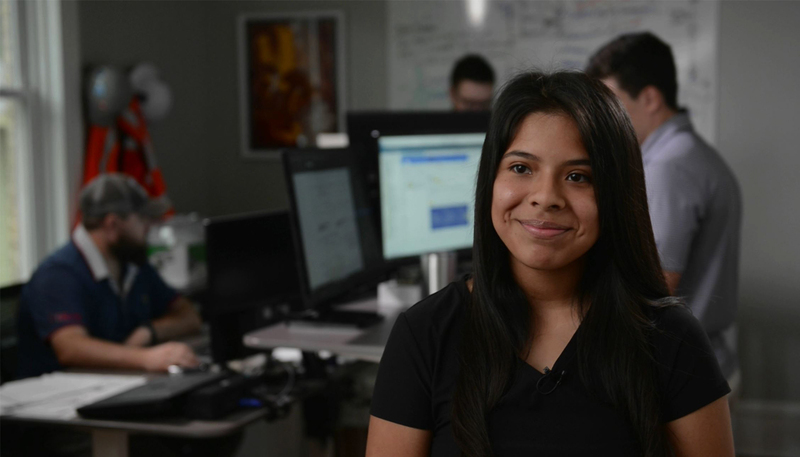 Job shadowing allowed Reynoso to explore the different roles and technical skillsets that make up a team, and be exposed to what career paths were available to her. Jauregui was happy to take on the role of mentor to Reynoso, as she herself never had anyone to guide her when she was younger. The reward? Seeing Jessica grow personally and professionally from the start of summer to the end, and knowing that she had a part in it. 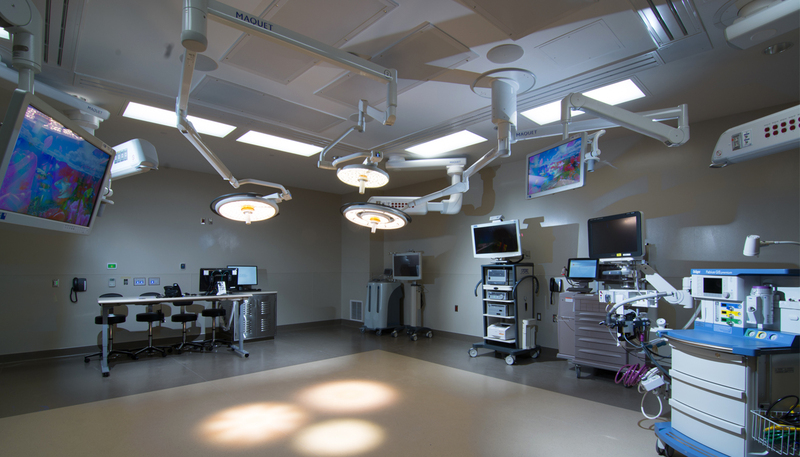 Reynoso gained a newfound appreciation for the construction process and the amount of effort that is put into aspects such as precise scheduling and cost control to efficiently deliver reliable outcomes for our customers. “The personal growth I experienced was learning how to schedule my time, effectively communicate with colleagues, listen to feedback and correct my errors the next time a similar situation occurs,” she said. 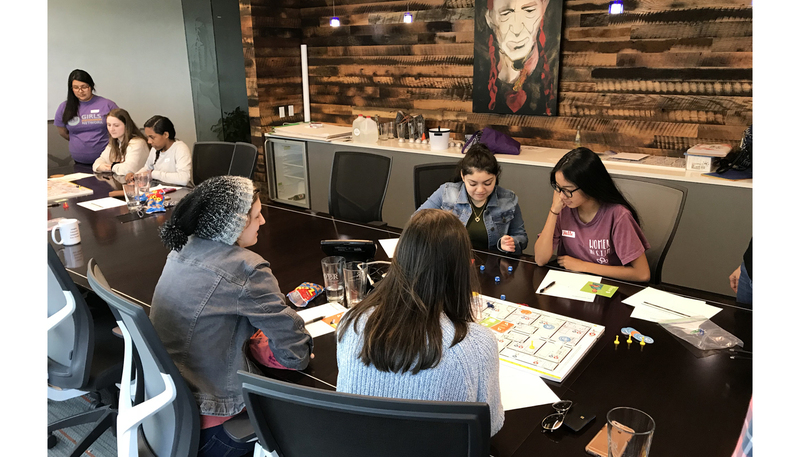 A senior at Austin’s Ann Richards School for Young Women Leaders, Anais Arechiga learned about the internship opportunity through the local ACE Mentor program, where board member and DPR project manager Diego Negrete encouraged students to apply. While there were plenty of solid applicants, Arechiga stood out. She shares a love of art with project executive Andrea Weisheimer, and even competes in art competitions. She spent the summer immersed on DPR’s Third + Shoal jobsite, a 29-story, 345,000-sq.-ft. Class-AA corporate office space in downtown Austin. Under the guidance of Negrete and Weisheimer, Arechiga exceeded her team’s expectations and became a valuable contributor. Initially quiet and hesitant to ask questions, she developed confidence as she helped with RFIs and submittals to the point where she stopped asking what she should work on, and created her own projects. Arechiga said that her experience was highly positive from the outset. Arechiga learned that construction is the balance between complex, technical skills and relationships, communication and teamwork–all the pieces need to operate in tandem, like a finely tuned machine, to prevent injury, improve efficiency and successfully deliver a project. She loved how every day was different, and her experiences this summer inspired her to consider pursuing civil engineering or geoengineering as a college major and career path–and her mentors Negrete and Weisheimer will be there with her every step of the way. 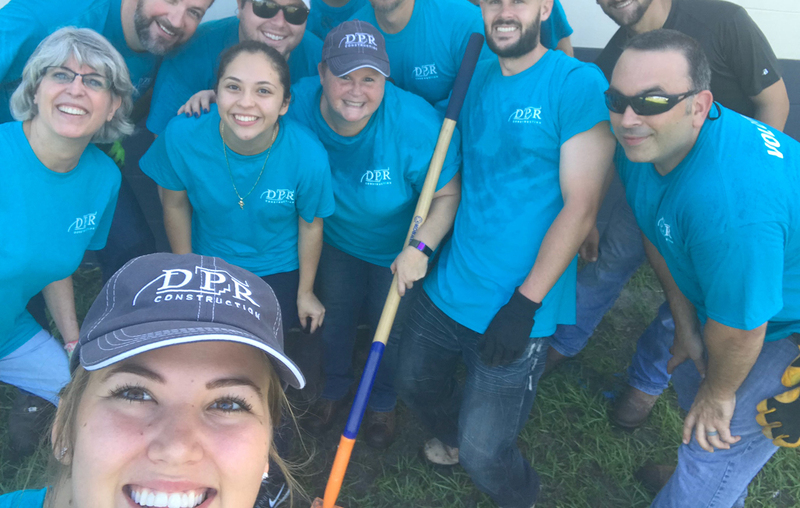 For Service September, DPR challenges each of its local business units to take on at least one construction volunteer project. 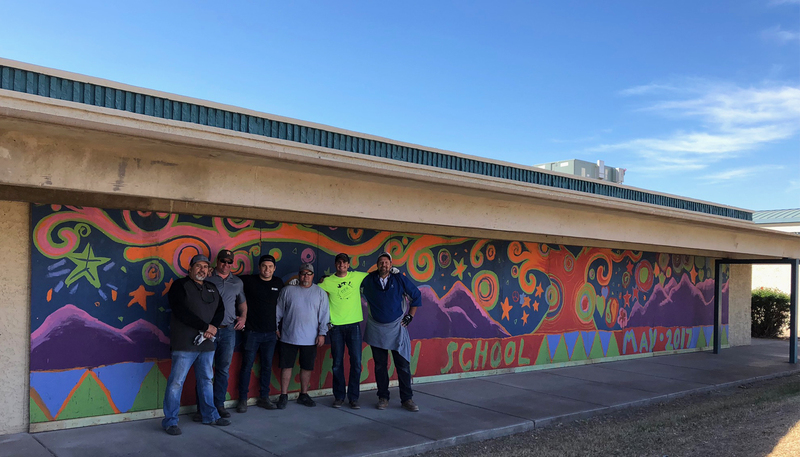 This year, every office used its construction skills to help local organizations improve facilities, and in turn help them work toward achieving their missions each and every day. 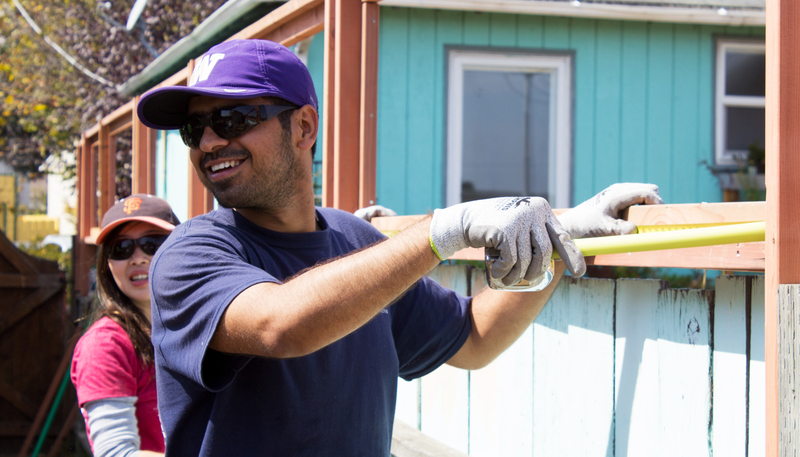 In September, DPR renovated and repaired 15 community centers, seven single family residences and shared building and construction knowledge with youth during four workshops. 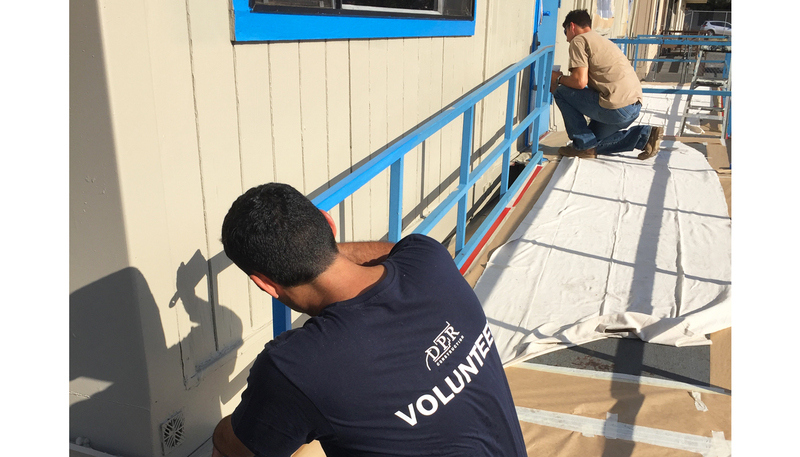 In Sacramento, DPR teams “refreshed” the Boys & Girls Club of Placer County facility that serves over 300 local youth. 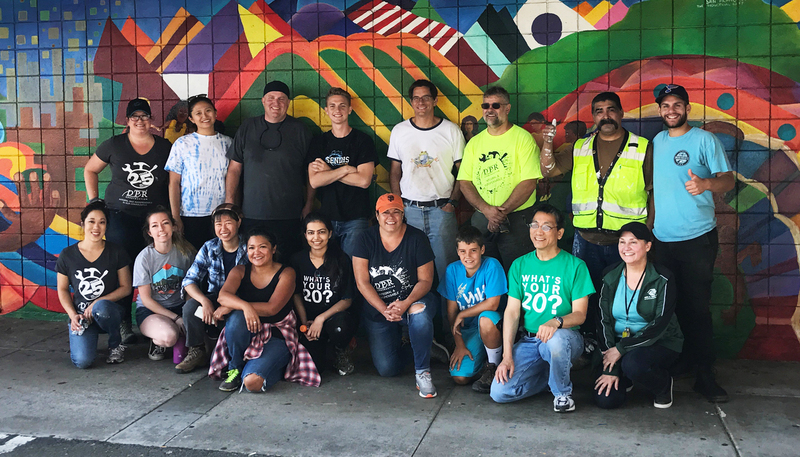 The project involved sprucing up several bungalows the Club uses for its after-school programs at the Rock Creek Elementary School campus. DPR volunteers completed needed maintenance at the school, including prepping and painting exterior walls, doors and handrails. 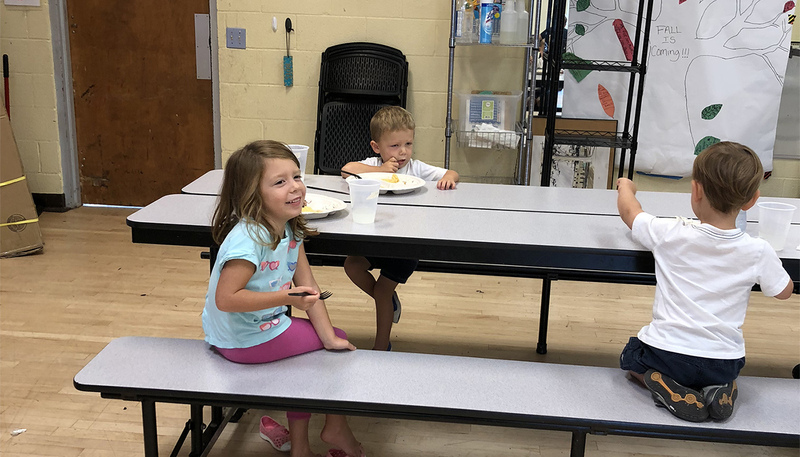 The Club’s development director, Topher Matson, said the service project and DPR’s ongoing relationship with the Club make a significant impact. 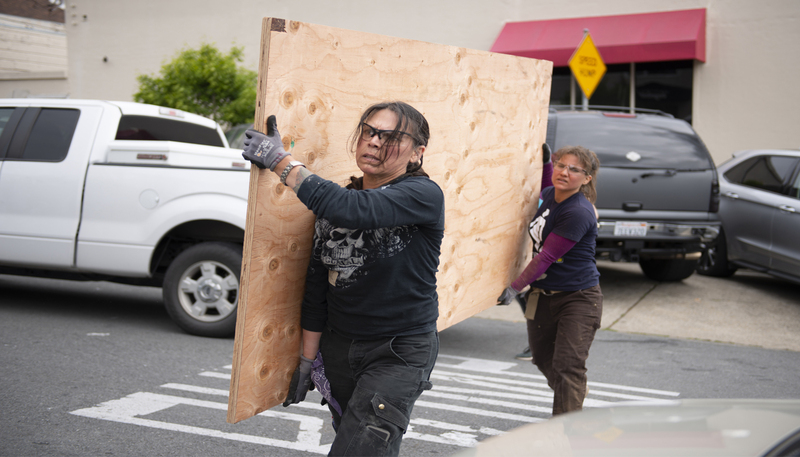 In the Bay Area, DPR impacted an estimated 3,400 children, families and seniors in local Bay Area communities through its Service September projects at The Boys & Girls Club (South San Francisco), East Oakland Boxing Association, Casa Maria Recovery Home (San Mateo), and Antioch Baptist Church Senior Apartments (San Jose). 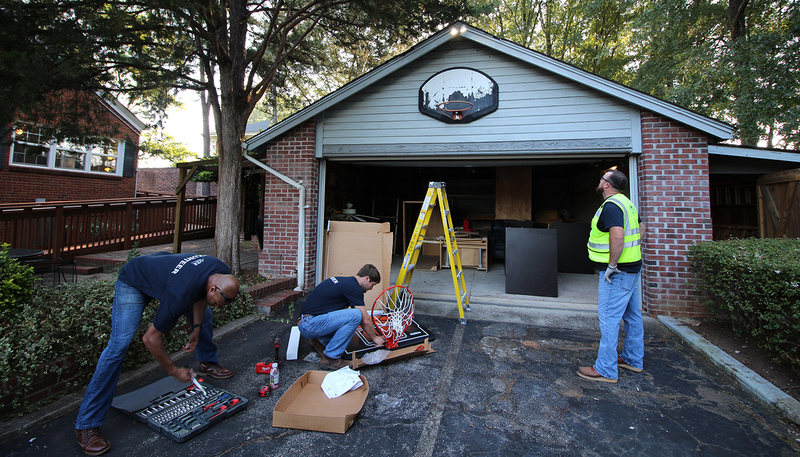 DPR volunteers completed repair projects at these four different facilities in a single day. Work involved an array of services including demolition, painting, pouring concrete and footings; building decks and ADA ramps, installing T-Bar ceilings, fencing, landscaping, lighting and handrails; building benches, planter boxes and a shed. 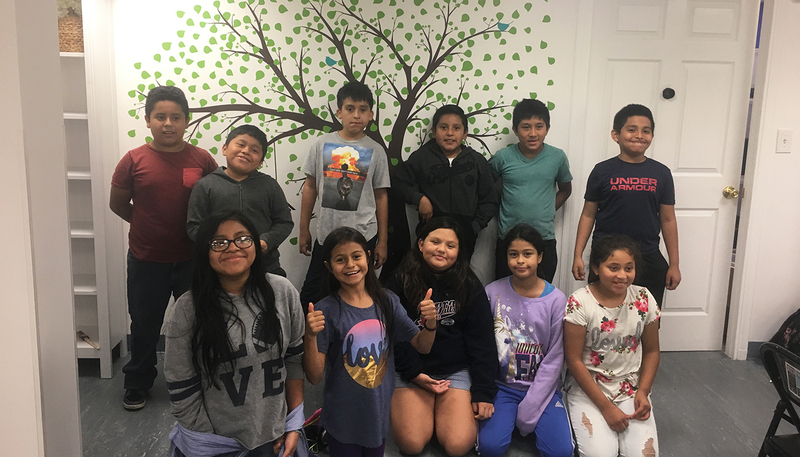 In Atlanta, DPR reached out to one of its key community partners, the Center for Children & Young Adults (CCYA), to perform a day of service at its Marietta, Georgia facility which houses up to 40 local youth ages 12 to 21. Volunteers from all peer groups in the region turned out for the service day. 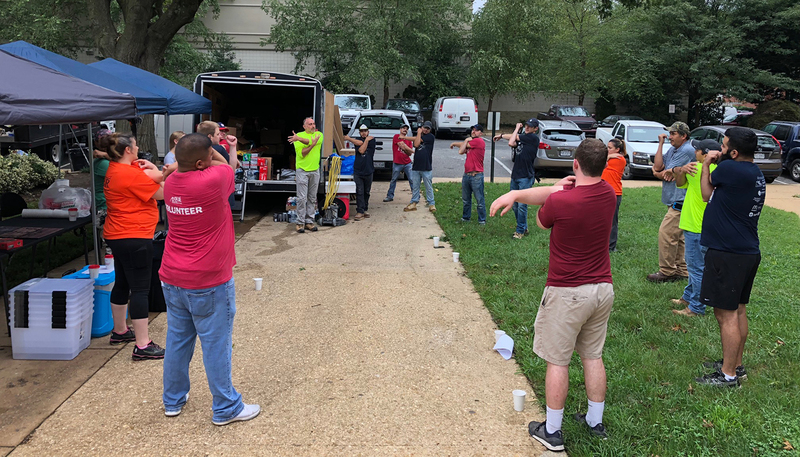 In the morning, they performed various needed improvement projects, including repainting three bathrooms in the main building, putting together five fire pit/planter beds for the outdoor space and constructing a storage shed. 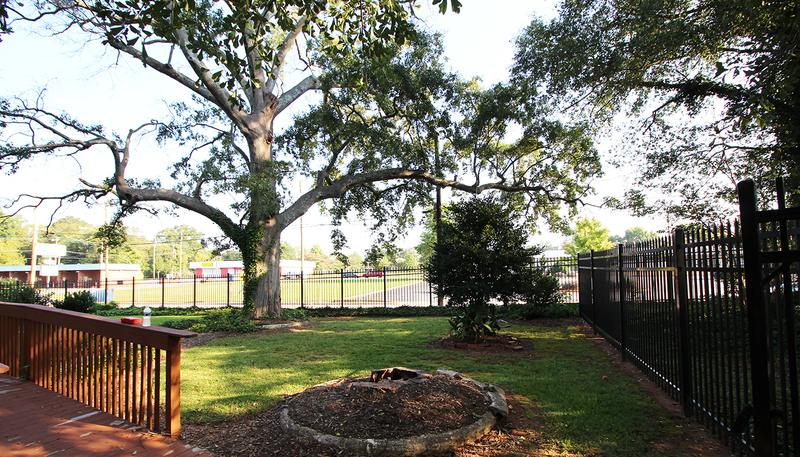 “Places like the planter boxes and fire pit areas help us create home-like places for our kids to gather and create memories of their own to carry with them when they leave us. Thank you so much for having DPR help us,” said Maureen Lok, chair of CCYA’s board of directors. 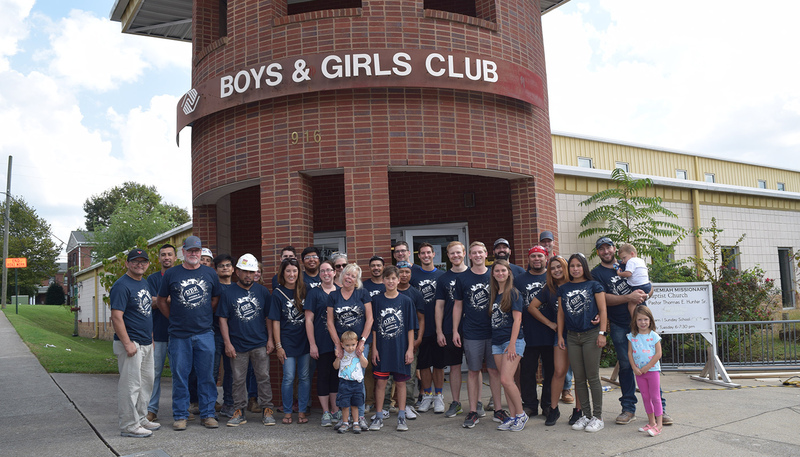 DPR’s Mid-Atlantic office tailored their second annual School of Construction event in a way designed to better engage teen members of the local Boys & Girls Clubs. Around 25 members from the Northside and Southside clubs, including five older teens, participated. They joined together with 16 DPR employees to plan and run an event that shared DPR’s unique technical skillsets with the community while educating local youth. The School of Construction event kicked off with a planning day with the teen leaders. Teens partnered with DPR volunteers and discussed how they would be leading the hands-on building groups. DPR employees had the chance to share their various career paths and what DPR stands for as a company. The teens were also introduced to construction planning and Building Information Modeling (BIM) tools used in real-world scenarios including P6 scheduling, 3-D and 4-D modeling. A follow-up pre-build and safety day with the teen leaders offered the teens an opportunity to work side-by-side with DPR volunteers, complete with a PPE safety gear demo and pre-task plan. The teens worked through the building process and gained the confidence they needed to lead the younger club members on build day. During the actual School of Construction Day at DPR’s Richmond office, the youth were exposed to virtual and augmented reality tools used in construction and offered a chance to interact with a virtual construction site. Teen leaders guided groups of younger students to build five prefabricated planter boxes. Those boxes will be donated to Renew Richmond’s community garden education program at G.H. Reid Elementary School and installed by DPR volunteers in June. Feedback from the teens themselves showed DPR succeeded in that goal–one that challenged them well beyond the typical role as student to take on a leadership role as a teacher instead. 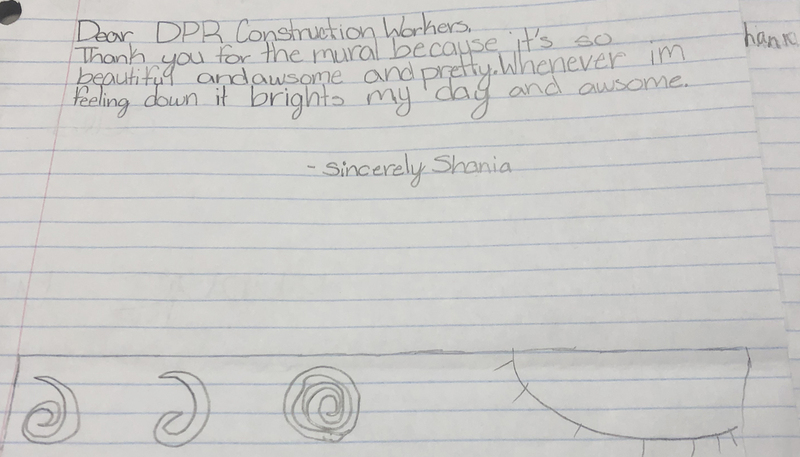 Teen leader Amira, a graduating senior who plans to major in mechanical engineering in college, had the chance to partner directly with DPR team members from engineering backgrounds who shared their experience with her. “It was cool to hear the perspectives of other individuals with similar interests and educational backgrounds,” she said.